Be the first to learn about exclusive listings, open houses, market reports, and more! Delicious cheese and dairy products aren’t the only things Wisconsin has to offer. The Badger State has a host of amazing seafood restaurants, thanks to the cold waters of the Great Lakes that border part of the northern tip of the state and much of its eastern side. There is a wide variety of fish that swim in the Great Lakes—from delectable lake herring, lake trout, lake whitefish, and walleye to smaller and lesser-known species such as burbot. Meanwhile, the number of fish farms in the area makes sustainable farm-to-fork seafood possible. 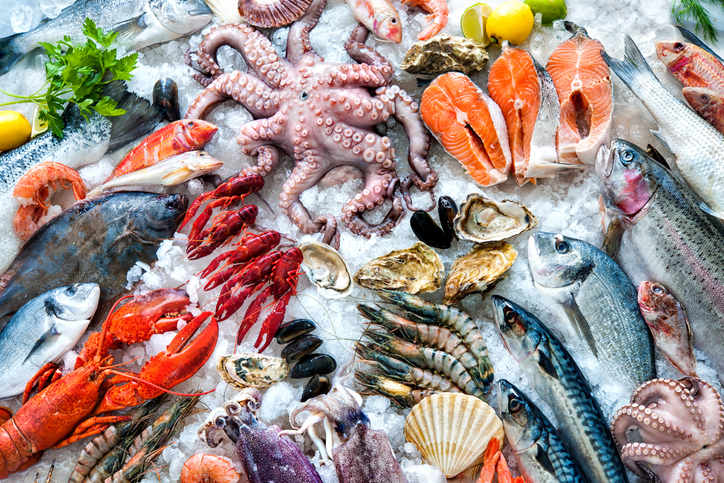 Different types of fish like arctic char, Atlantic salmon, rainbow trout, tilapia, yellow perch, and pacific white shrimp are some of the farm-raised variety of seafood in the state. Deep Water Grille mixes the elegance of fine dining with the laidback atmosphere of classic pub fare. If you’re looking for the perfect place to hang out with friends over delicious seafood and drinks, then this is the place. The menu lists classic seafood favorites like shrimp tacos and crab cakes served with a modern twist – no wonder guests keep coming back for more. Their creole whitefish and sautéed shrimp served with saffron rice, asparagus, and creole butter cream to give it that extra richness is a winner. So is the Lake Superior walleye dinner cooked Cajun-style, broiled, baked, or deep-fried and served with a baked potato and pineapple coleslaw. Deep Water Grille also serves gluten-free options like their shrimp and chorizo-stuffed mushrooms with tomatoes and scallions. For delicious food and beautiful lakeside views, there’s no better place than Portside Bar and Restaurant. This casual waterfront restaurant was made for a relaxing time. Enjoy a wonderful array of seafood like simple calamari and shrimp cocktails to gourmet stuffed shrimp. Check out the surf & turf options as well. Cap off the workweek with some walleye or fresh Lake Superior trout or whitefish during their weekly Fish Frys night. Portside Bar and Restaurant also has a great wine and cocktail list to pair with any of their dishes. You might be surprised to find that one of the best seafood restaurants in Wisconsin is found in a hotel. The Blue Wave Inn not only provides a wonderful boutique hotel experience but serves delicious seafood dishes as well. Check out Blue Wave Inn’s small plates like fish tacos served with citrus slaw, pickled onions, and ancho creama. Try their lake trout cakes that come with mixed greens and remoulade. Dinner is a good time to order the polenta-crusted walleye or the pan-fried walleye with brown butter or white wine caper sauce. Both are served with wild rice pilaf and seasonal vegetables. Learn more about Wisconsin and your real estate options in the Ashland, Washburn, and Bayfield areas. Call By the Bay Realty at 715-682-7337 or send an email to jstricker54546(at)gmail(dotted)com today.